Are You a Real Card Collector, or Just a Sports Fan? You can’t have card collecting without the sports, but conversely, card collecting helps build the fan base in terms of the amount of collectors and dispersion. Although these two things seem to go hand in hand, there are some differences. One of the major differences for me would be being able to get interactively involved. If you simply follow sports, you can play Video games or Fantasy Baseball and Football and so forth, but that’s about where it ends. The act of collecting sports cards is all about physically getting interactive. 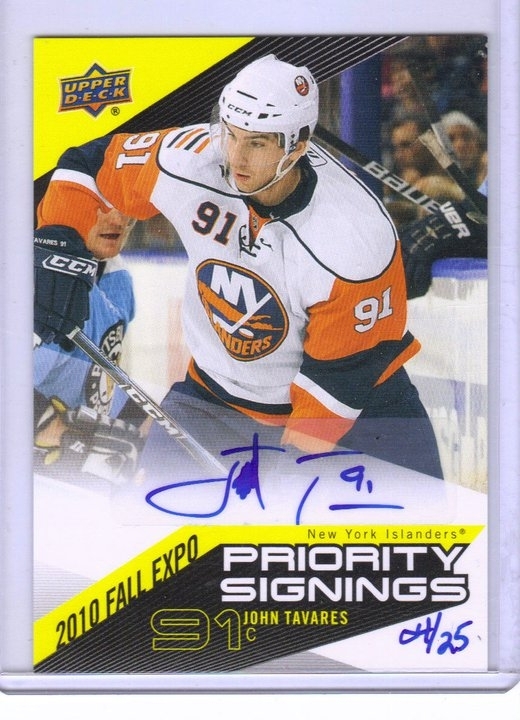 There is no better feeling than opening a pack or box of cards and pulling a super rare auto or patch card of a player you have followed for a long time. Many fans began to pursue Chris Johnson football cards after his 2,000 yards rushing season. The next big difference is displaying that passion. With watching sports, unless you’re betting on them, the most you can hope to gain is the satisfaction that your favorite team prevailed. With collecting cards, there are so many ways to show your passion ranging from how to collect, what to collect, who to collect, and why to collect. Some collect to resell and make money, some collect to hold on to the cards and hope it’s a wise investment. Some just collect for fun. I myself collect for my 2 year old son and plan to pass this huge collection on to him when he is old enough to respect the value of these cards. The last difference is limitations. Sports have seasons. Once the season is over, you have to wait until next season to enjoy your favorite. For example, you can only watch Football once a week to see your favorite team play. On the contrary, baseball games are so often that an individual game does not have a large affect on the team’s final result. With collecting, there are no limitations except for the money to buy the cards, yet there are so many choices and price ranges for products, ranging from one dollar a pack to five hundred bucks a box. There is something for everyone. 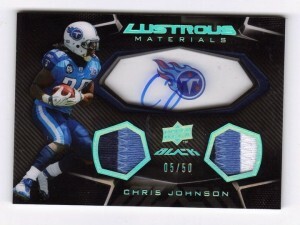 Patch Cards, Hologram Cards, Signature Cards, Rookie Cards, and Humorous Cards- the list goes on and on. No individual would be able to collect them all. In the end weather you’re a sports fan, a card collector, or both, just make sure you’re enjoying it or really what’s the use? At Upper Deck, we want to know your favorite way to collect. What is that ONE CARD that you’ve been searching for but haven’t been able to obtain? What kinds of cards would like to see from Upper Deck in the future? Dave Cosgrove has been a true lover of sports from Maine for over 20 years. He most avidly enjoys watching Baseball and Football but does enjoy other sports as well. He has been a member of the Volunteer Alliance and contributed many times towards Upper Deck. This is Dave’s submission towards the most recent mission, which asked Alliance members to create an informative blog post on anything trading card related. Great job Dave! My wish list is a 1998 Sp Authentic Peyton Manning rookie!! WOAH! A fellow Mainer?!?! Ever visit Don’s in Portland? ?